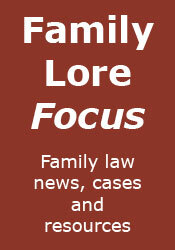 "Shared parenting legislation is vitally important for all involved, especially the children. Very often Court Orders are made without the knowledge of the importance of a father’s involvement and my bill will make sure that neither parent is shut out from a child’s life when sadly a relationship breaks down. I don’t need to underline the importance of both parents in a child’s life. A significant proportion of the social problems in today’s society are a result of when a child doesn’t have the love and support of both parents. I hope the Bill will go some way to help this which can only be good for society." I have, of course, already stated here that I am in favour of a presumption of shared parenting. I don't know what the chances are of the Bill getting passed, but at least the idea is receiving attention. The Bill, which is supported by ten other MPs, will be debated in the House of Commons next summer. Well done on the man and good luck to him, although I fear, especially in such a fractured House of Commons, private members Bills tend to fail to become law. Hopefully this will happen, the sooner the better, and perhaps not all politicians are bad after all. If the bill recognises the importance of both parents in a child's life it's a shame this won't be debated until NEXT summer! Yes, that is a shame. John - thanks for the post. Am a bit surprised (read "disappointed"!) that it's a Private Members' Bill and not a Gov Bill. Bit of housekeeping - the link for Brian Binley's site is no longer updated and refers you to http://brianbinley.blogspot.com/ so it might be worth updating your link. Thanks - I've removed that link.